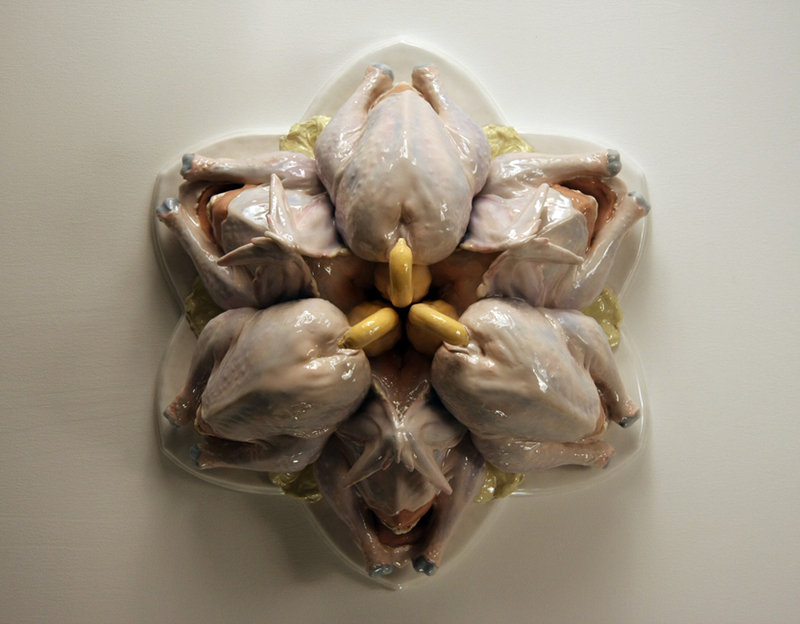 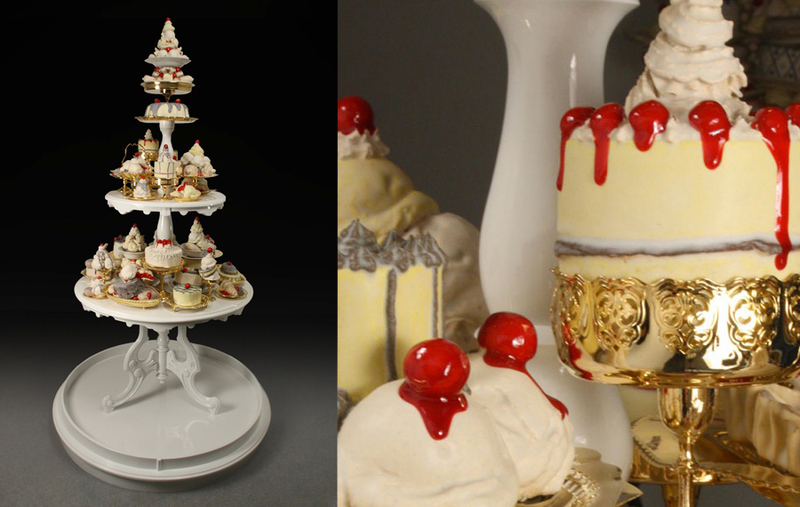 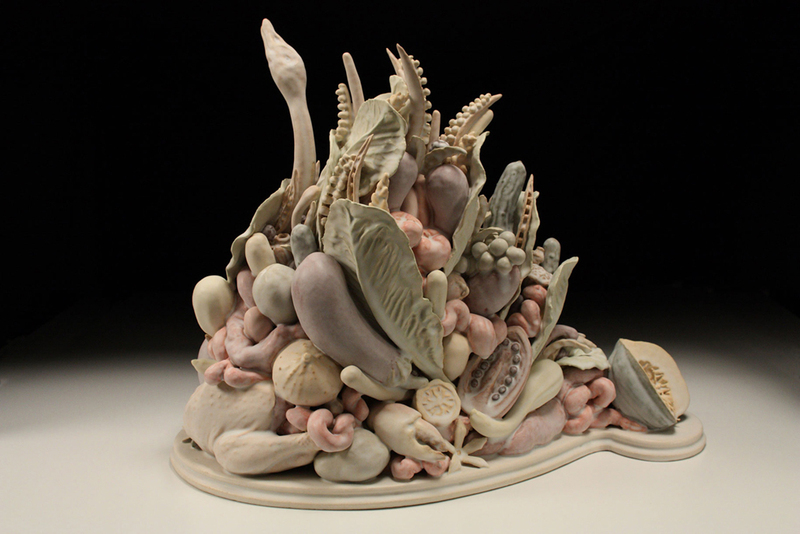 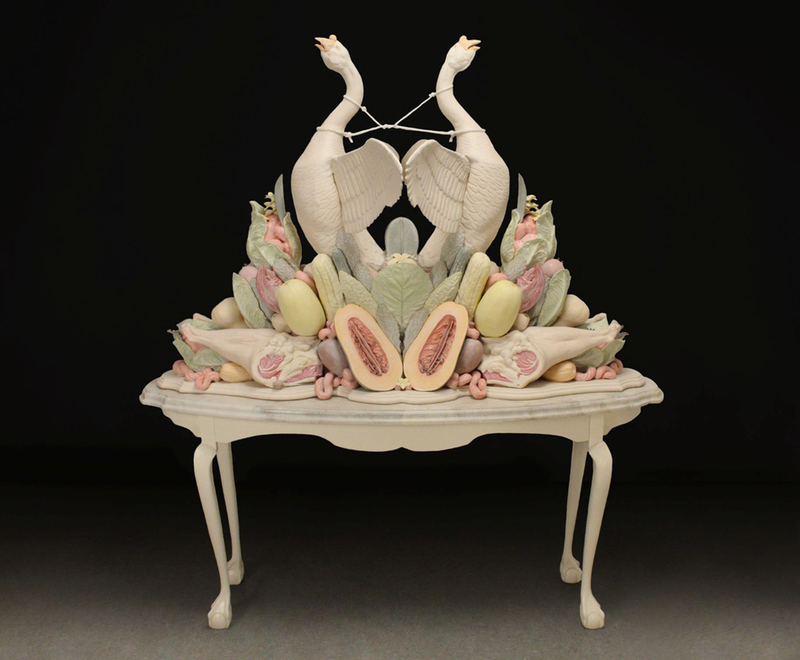 The food-centric work of ceramicist Dirk Staschke is multi-layered: beautiful but full of meaning. "In the studio I arrange shape and form, creating opportunities for light and shadow (and perhaps wealth). 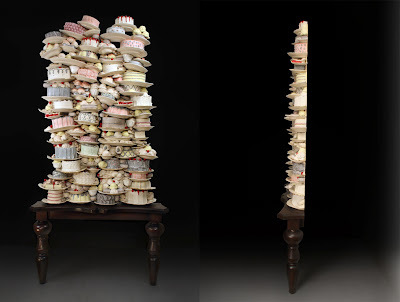 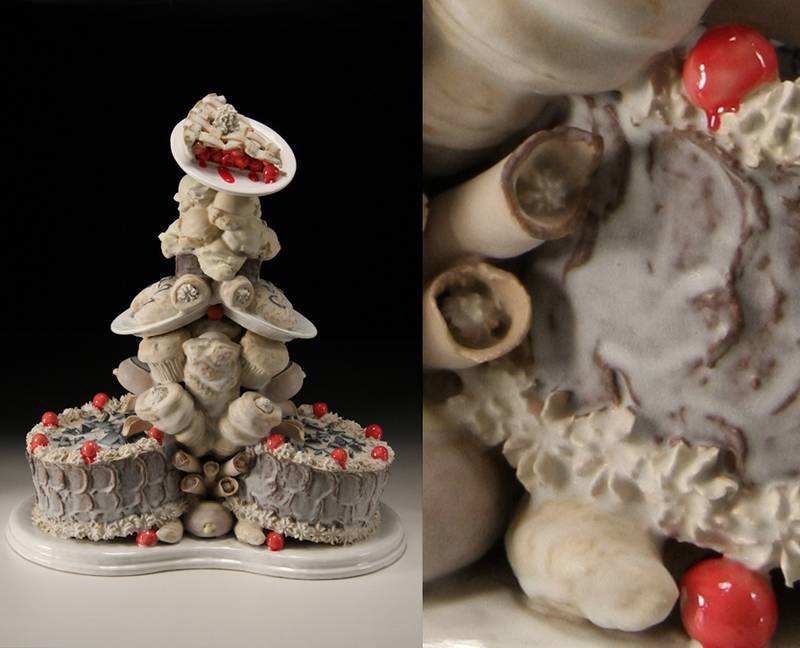 These arrangements are informed by the mundane ritual of eating that is long celebrated in ceramics. 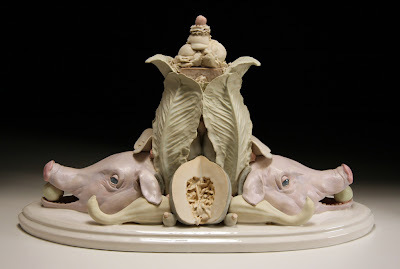 Unlike the potter whose empty dishes present an opportunity, my settings come prearranged as opulent, inedible meals that are simultaneously beautiful and disgusting. 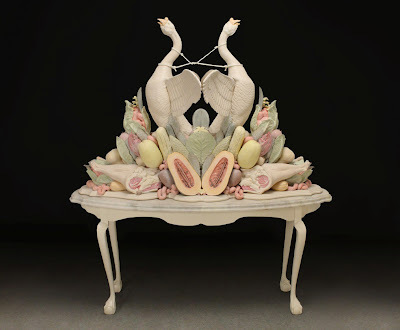 In this process, sustenance becomes merely a concept forever locked in its sculptural form and eating becomes a metaphor for excessive material consumption. Like an extravagant meal, the arrangements we make to further our desires can come with painful unintended consequences. 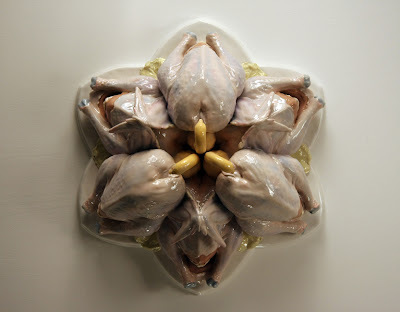 My recent body of work explores notions of gluttony and cultural excess."